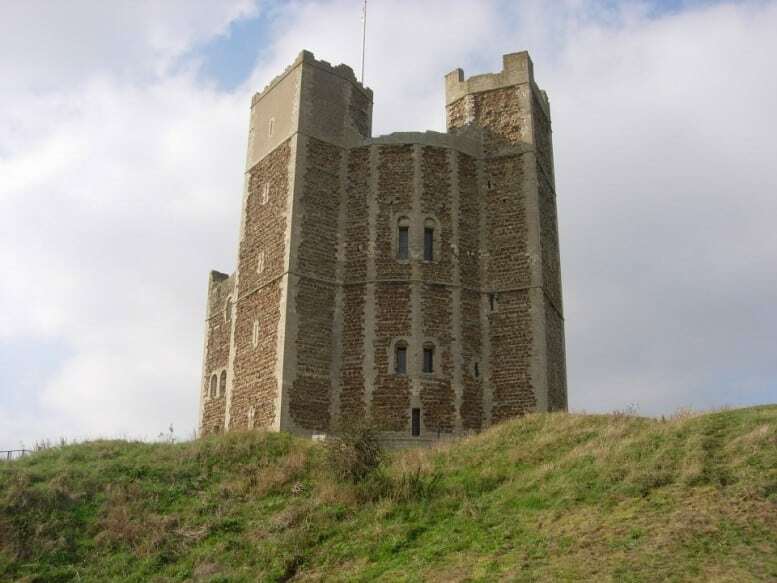 Police are hunting a conman who “sold” Orford Castle to a gullible American businessman for a million pounds. The elaborate hoaxer even told his wealthy Texan victim that a medieval charter entitled the castle owner to as many local women as he wanted – even married ones. He had set his trap by putting an advert in upmarket magazines in the United States, offering the castle, which was built by Henry II in 1165, at a “knockdown price” of £1 million. It offered someone the “once-in-a-lifetime chance to own a real piece of English history”, with a live-in, full-restored castle that overlooked the North Sea. The victim, who police say made his fortune in the oil industry, responded to an email address in the advert, and flew to the UK to meet the “seller”, who claimed to have lived in the castle for 20 years. Making sure it was a day the castle was open to the public, the conman arranged to meet the American at the nearby Jolly Sailor pub, where he plied him with the local Adnams beer before walking him up the road to view the property. He impressed the victim with historical tales about the castle, which is regarded as one of the most remarkable keeps in England, with a unique design probably based on Byzantine architecture. And the crook even brazenly spun a yarn that by ancient charter, the owner of the castle was allowed his pick of the local women whenever he wanted, and that he need only ring a bell in the tower to summon them. Laughably, he claimed that is where the leering expression “ding-dong” came from. The two men shook hands on the “deal” as they gazed out from the top of the central tower to the River Alde and the North Sea beyond. Police say the conman showed the American all the alleged deeds and had contracts already prepared to go through when they went back to the pub. They signed all the documents but agreed not to exchange them until the sum of £1 million was transferred into a Swiss bank account the next week. When the money was wired, the conman instantly withdrew it and has not been seen since. The American, who has asked not to be named, was said to be distraught at missing out on his dream English castle, as well as pretty upset at losing a million. The castle is in fact owned by English Heritage, which points out it is absolutely not for sale. I thought ‘gullible’ had been removed from the OE Dictionary as well as the American one !